Yuba River Charter School eigth-graders with teacher Kate Haight and Tom Taylor, Nevada Theater manager. 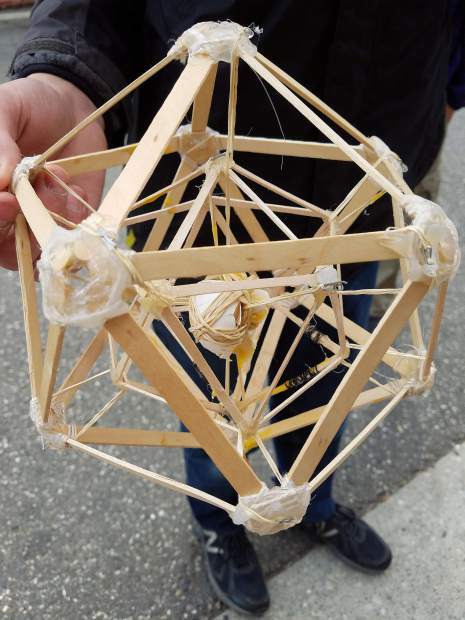 Yuba River Charter School eighth grader Eli Barbier's "egg capsule." 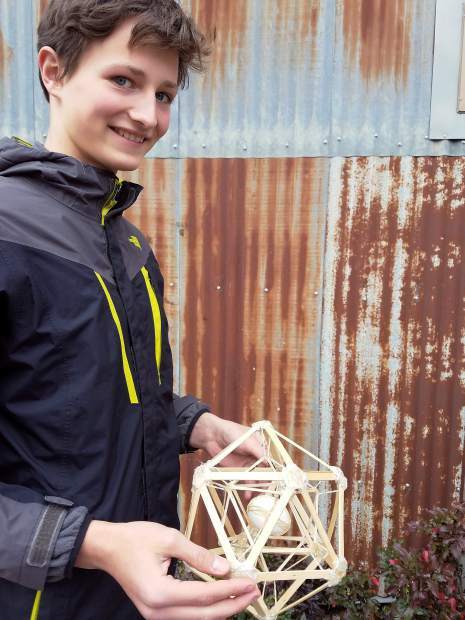 Yuba River Charter School eighth grader Eli Barbieri shows off his exquisite, geometrically designed "egg capsule." 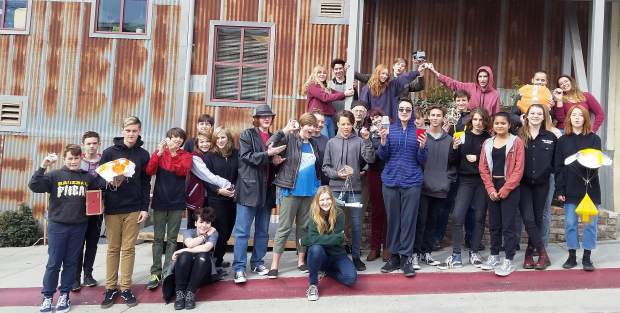 On Wednesday, Yuba River Charter School’s eighth graders took a field trip to downtown Nevada City to conduct a messy — but fun — experiment in physics and gravity. Teacher Kate Haight, with the assistance of Nevada Theater manager Tom Taylor, collaborated for the educational event outside KVMR Community Radio and the Nevada Theater. Taylor staged a landing for all 29 students to drop their individually created and precisely designed “egg capsules” from the 16-foot-high backstage landing. “Did the egg survive the drop?” and “Why or why not?” was the question.